The Sacred Well is available to do your personal shopping for crystals at the Tucson Gem & Mineral Show. Simply fill out the form below, tell us what you are looking for, and give us your phone number. 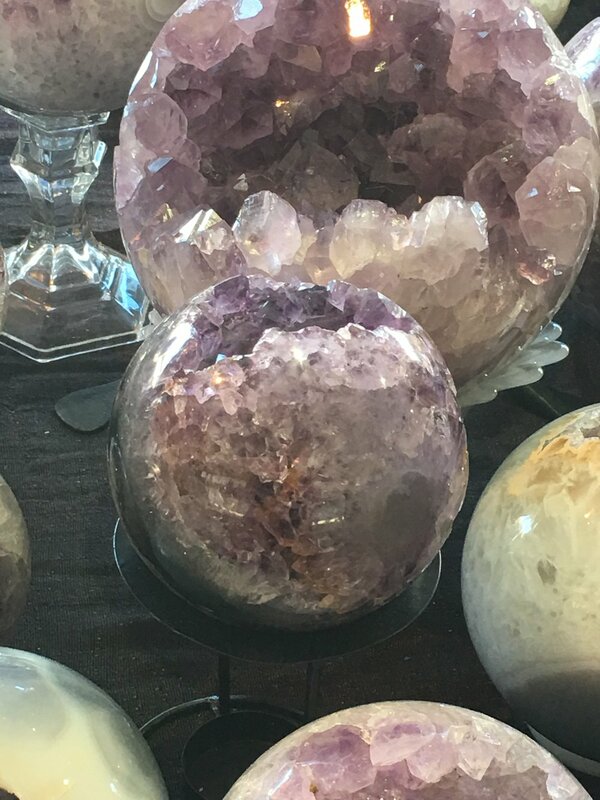 When we are at the Gem Show, we will text you photos so you can have a hand in the selection of your perfect stone, sphere, or statement piece. Once we have your purchase in hand, we'll contact you to authorize your credit card, or send you a Paypal link for payment. Then we will ship it out right away! We look forward to shopping for you! Describe a little bit about what you are seeking. Sphere? Point? Pyramid? Type of Stone? Jewelry? Necklace? Ring (please specify ring size)?